One of the few "chains" that Pipkin will eat at is Cora's, a Canadian breakfast and lunch restaurant that serves up lots of fresh fruit and veggie dishes. Founder Cora Tsouflidou wanted her restaurant to promote the importance of breakfast in a friendly dining environment. You can watch the kitchen prepare your meal and smell the crepes and waffles cooked up hot and fresh. 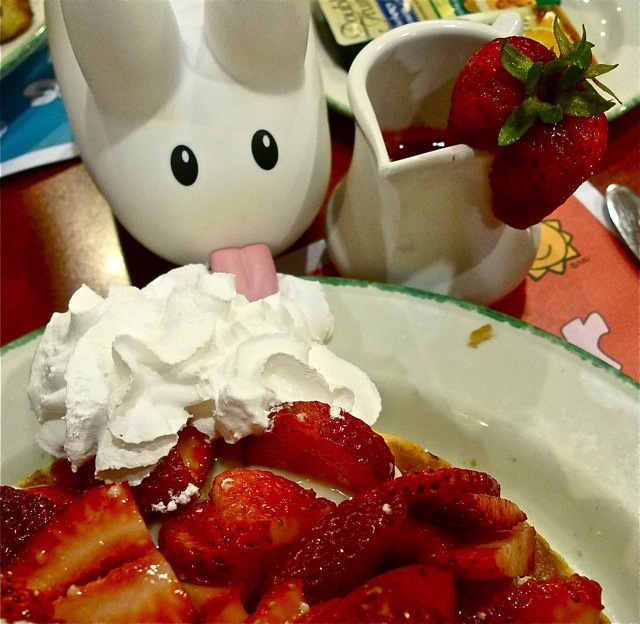 Pipkin opted for a waffle topped with custard and a mountain of strawberries with whipped cream. A little pot of strawberry coulis is on the side in case it's just not strawberry-y enough. 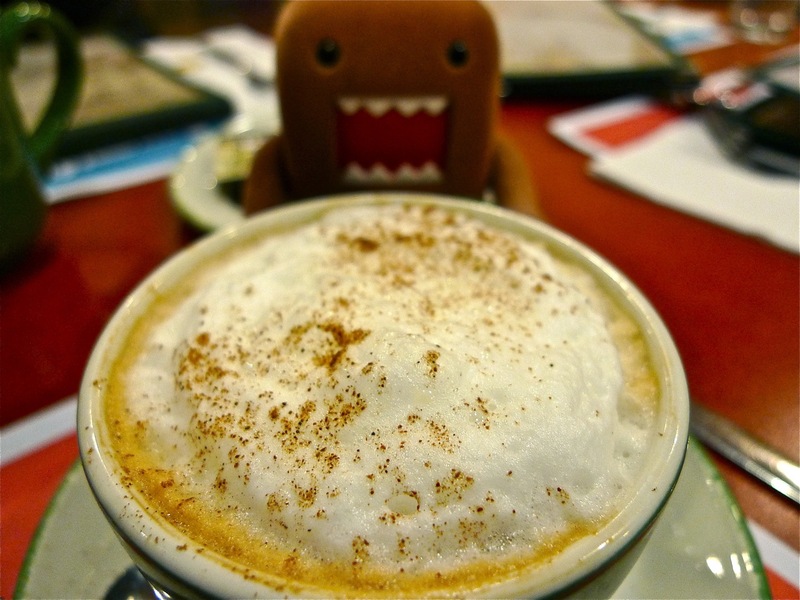 Domo doesn't really get the importance of breakfast, but he does know the importance of caffeine.